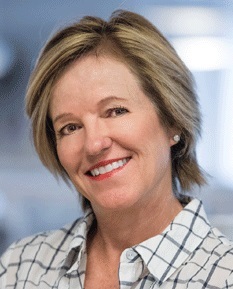 Jill Gwaltney is founder of the independent marketing agency, Rauxa, which today is the largest, woman-owned independent agency in the country. Jill grew Rauxa to $56 million in revenue, 230 employees and 6 offices nationwide serving the likes of Gap, Verizon and Alaska Airlines. Today, she’s hands-on with hundreds of employees, making deals, having drinks and sharing life advice. I spent 20 years working with my dad in the family direct mail printing business, FEC. He taught me how to start and grow a business, including understanding the numbers, prioritizing client service, and building and motivating a team. We sold FEC in 1996 to a publicly held company out of Chicago. I had a contract for a few years to continue running the business and help with the transition. Coinciding with the transition efforts, I considered retiring. I took a few months off, played a little golf, coached my son’s soccer team, and quickly concluded it was time to get back to work. In 1999, I started Rauxa with just a team of four, and we focused on direct marketing creative and production. Our industry is always evolving. One shift to note is the emphasis on personalization. Today’s consumers expect communication that is relevant to them. Brands used to be able to differentiate from the competition on speed or ease of experience; however, those factors have now become merely the price of entry. The brand connections that result in the highest customer satisfaction are those that personalize the experience. To do so, brands need the right platforms and tools, as well as the data to feed them, and the reporting and analytics to continually optimize. I see an opportunity and challenge around the shift toward personalization that I just mentioned. Brands are asking: “Are our messaging, channels, and timing relevant to the consumer?” The challenge is that organizations need to be able to collect, analyze, and leverage data to answer “yes” to that question. We help companies select and implement the right tools to do just that, to build a 360-degree view of the consumer, and then design marketing campaigns that leverage this view. For organizations that succeed in this, the opportunity is big, as consumers are willing to share their data if they get value in return. Diversity is another key topic in our industry today. Rauxa has always led the charge in diversity by being woman-owned and women-led. We continue to uphold a culture of inclusion in our agency with our support of Creative Spirit US, a new initiative focused on neuro-diverse talent. After we sold the family printing business, I took a few months off and considered retiring, but I felt like I was losing a sense of myself and knew I wanted to work. I asked myself, “What do companies need?” and “How do we make money?” For the former, I interviewed marketing directors who indicated they needed agencies focused on direct response. So we created an agency structure to deliver that and got started. Because of my focus on helping brands grow, it wasn’t long before Rauxa expanded its solutions to encompass data, media, digital, and more. While brands will always want to grow their business, how they go about this is always evolving. That’s why we continually innovate on both what we offer and how we get the job done. In the future, I see social media playing an even bigger role. With social, it’s about understanding the best channels, combined with the right message to engage consumers where they are with what they want to hear. This requires a combination of data, technology, and creative authentic storytelling. I’m excited to see what the future holds for Rauxa under the leadership of our CEO, Gina Alshuler! We’ll continue our focus on helping our clients acquire, engage, and grow their customer relationships. And I can’t wait to see all the new measurable ways Rauxa will achieve just that. Today, we continue to invest in digital, and recently launched Cats on the Roof, a branded video content agency and production house under the Rauxa umbrella. We work hard to create stories our clients can tell—how they will engage, educate, and entertain their audiences—and we figure out the best way to distribute that content. Our success comes when we are focused on the growth of our clients. By committing to our clients, we deepen our partnerships with them and drive our results along with theirs. Another cornerstone of our success is a mindset of constant improvement. How can I be a better leader? Is the agency focused on the right things today? These are questions we ask ourselves on a regular basis to create sustained progress. Because we never settle, we’re also not afraid to take on challenges—making plans and boldly executing against them. The final focus is on hiring great talent. In fact, we just announced the hire of Chief Creative Officer Kate Daggett, and our very first Chief Marketing Officer, Laurel Rossi. The most difficult moment for us was when we lost a key account as the company consolidated the work nationally. However, we kept up the relationship and persevered, because we knew we were a great partner for them. A couple of years later, the company awarded Rauxa the national business, which speaks volumes about our work ethic, our tenacity, our grit, and our genuine care for our clients. Bottom line: We treat every customer interaction like we are going in for the big pitch. The ideal customer experience is a partnership that allows us to help them drive results. We do this by figuring out the best way forward—testing, executing, measuring our results, and then using that data to inform future initiatives. Our differentiator comes from digging in to understand the client’s objectives, the competition, and possible solutions. It comes down to doing the work. There are no shortcuts. We show up each day with head, heart, and hustle to deliver excellence. The ideal way to motivate others is to help put them in the position/job that best leverages their talents, while also appreciating their work, recognizing their accomplishments, and letting them know that you are proud of them. I also believe it is important to set an example by following through on what you say you’re going to do. Finally, be there for people—respond to emails, answer calls, and show up for them when they reach out. My best career advice is to be empathetic to customers and team members alike. Much of this comes from communication, asking yourself, “If I was that person, what would I want to know today?” and thinking about what they need before they even think of it. For team members, it’s about asking, “How can I help them do their job better?” to uncover what they need to be successful and how I can best support them. Along with empathy, I would emphasize the need for grit: Keep fighting and never give up.